TRU Group managed engineering and installation of photonic laser erbium doped fiber amplifier fabrication packaging line, specialty telcom-optical-fibre-drawing-tower and the plant clean room. Managed design & engineering of advanced edfa's. Also worked with founders to set strategy, prepare investor business plan, financial modeling, do market research on photonic fiber optic devices, implement product, find investors and build the firm in Tucson, AZ. Obtained $20 million in Silicon Valley financing, managed building of clean room and ran start-up period. 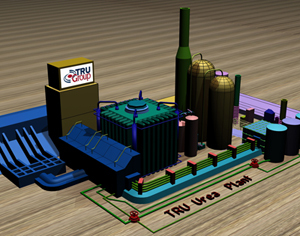 TRU Group Inc undertook a bankable feasibility study on the viability of a $700 million coal-based synthesis gasification gas plant to produce gas suitable for the production of ammonia and the upgrading of existing facilities for the production of nitric acid and ammonium nitrate fertilizer. 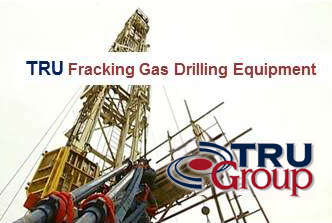 TRU Group engineered synthesis gas production and purification including shifting, acid gas removal and any other required processes. 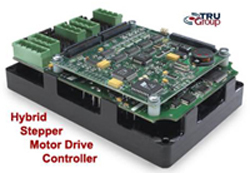 TRU surveyed the Brazilian market and international competition for electronic components. We worked out market penetration strategies for the foreign based manufacturer and subsequently accompanied their salespeople on a Brazilian visit to promote their products. 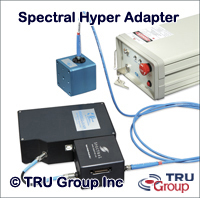 TRU Group Inc assisted small R&D company to launch a Spectral Hyper Adapter that can extend the spectral resolution of Spectral Hyper Adapter conventional grating spectrometers by a factor of ten. Boosted visitors to Photonics West with pre-show targeted telemarketing campaign. Product was a strong success and later acquired by leading optical instrument company. TRU Group examined the commercialization potential of a new diode laser printing method on a specially photo-thermal coated substrate. The laser-marking assignment was for a large US multinational although the investment target was located in the United Kingdom. The novel Photo-Thermal marking method would replace CO2 laser marking and be competitive with industrial thermal printers and ink jet printers, for direct printing and labels. Position in RFID marking and variable digital printing. TRU Group, for the CEO of a Metal/Plastics Producer, worked with the President of a Division which was experiencing operational and management difficulties. Conducted a financial, marketing and operations strategic assessment. Set business objectives and detailed implementation tasks. The Division was transformed and achieved profitability, including profitability through recession. 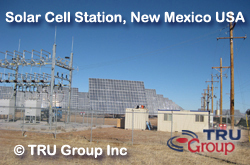 TRU Group assessed the state of technology and industry development of the photovoltaic solar cell, solar panel and solar hybrid systems market. TRU Group assessed the applicability of an operations and machine troubleshooting management system for manufacturing plants. The management system was designed to assist plant managers particularly when operations break down are, or are not, meeting target outputs. Reviewed its potential use in a variety of plants - automotive, plastics and smelting and provided recommendations. TRU Was was on retainer to Tiomin Resources Inc for two years, on the development of a US$280 million Saudi chemical complex. We evolved the concept, undertook the business and operations analysis including financial modeling, prepared the Investor Information Memorandum, located a partner, and evaluated the resulting Joint Venture. TRU has prepared many other investor documents for public and private companies. For a US manufacturer in the road infrastructure industry in 2017 TRU Group examined manufacturing enhancements to improve the efficiency of onboard sensors in self-driving and autonomous vehicles. The technologies included laser, radar, ultrasound, camera, LIDAR, GPS and mapping sensors. Each have their own artificial intelligence "AI" software and algorithms. TRU Group assessed developments in leading edge sensor engineering science and their integration / adoption in autonomous and driver-assisted vehicles. The work included examining potential spin-off from military, armament and aerospace industries. TRU Group identified manufacturing enhancements and is suggesting practical ways to implement them in order to maximize the opportunities in the autonomous vehicle sensor and infrastructure space, as driverless vehicles innovations boost technical capability from the SAE level 2/3 today in 2018 up to level 5 full autonomy in the future. 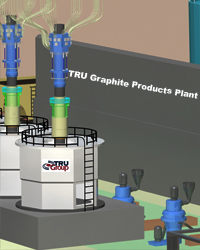 TRU Group engineered the conceptual design of a US based high tech graphite products factory using a unique naturally occurring American graphite feed. TRU Group characterization testwork confirmed amenability for the production of extremely highly purified products potentially so pure it could compete with synthetic graphite. Main output products was coated spherical graphite for lithium-ion battery anodes. Work continues in 2016 on more detailed engineering and preliminary economic assessment (PEA). 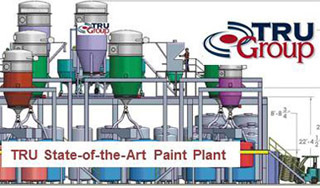 TRU Group engineered a new highly automated state-of-the-art paint manufacturing plant designed to replace existing conventional facilities in the United States. Also compared upgrade of several current plants with a new (consolidated) operation using leading edge equipment, advanced mechanization and automation - typically unseen in the USA paint industry. Allowed for efficient pigment powder and liquid processing with high precision, maximum quality and much improved productivity. Project is ongoing in 2013. TRU Group prepared technical studies, strategies and business plan for a USA developer of a breakthrough Li-Fiber battery. Beats all other re-chargeable batteries and ideal for laptops, power tools and hybrid electric vehicles. The graphite containing Li-Fiber business is a spin off from other activities in advanced composites, nanotechnology, coatings, fullerenes nanotubes and near net shape metals and alloys. Seeking $15 million in venture capital. For a US multi-national, TRU Group studied technology and markets for wire EDM machining and competitive machining technique trends comparing China's methods with those in the United States. 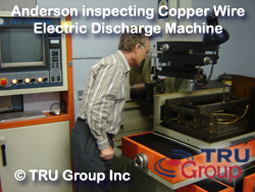 TRU Group EDM molybdenum Wire Cutting Machine Assessed applications and wire use including machining cost structure. The influence of competitive environment in China, America and Offshore ere evaluated. TRU Group, for a major US supplier of components and brake systems, assessed and modified their material price surcharge model. TRU changed several of the indices and modified the fundamental operation of the model. Made recommendations for smooth customer acceptance of a surcharge introduction. TRU Group conducted an international business assessment on the feasibility of producing and marketing a variety of wood/paper products based on the Chiloe Island forest. Customers and trade factors were interviewed globally. Forchil undertook one of Chile's largest forest developments. TRU negotiated distribution in the USA for the client.